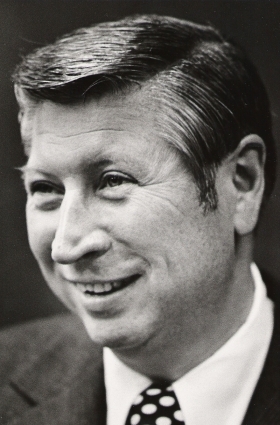 DETROIT -- Thomas Russell, former chairman and CEO of Federal-Mogul Corp., who led the company throughout the 1970s and 1980s, died on Wednesday in Detroit. He was 88. The cause was pancreatic cancer, according to his son, Scott. Russell led the Southfield, Mich., automotive supplier for 14 years. He became CEO in 1975 and chairman in 1976. Federal-Mogul CEO Rainer Jueckstock said Russell led the company during a very challenging time in the automotive industry. "He had a deep understanding of the industry and was passionate about the business," Jueckstock said. Nicknamed "The Velvet Hammer," Russell was known for his tough but friendly management style as he led the company to profitability throughout the 1980s. "He prided himself on his personal touch and he banked on it," Bill Adams, former president of Federal-Mogul, said in a statement. Employees said Russell knew the name of every person who worked there. Allen Jahnke, a Federal-Mogul systems and program manager, told the Detroit Free Press in 1984 that Russell "doesn't sit in an ivory tower." "He's involved -- not just making an appearance -- and he's a bit of a character," Jahnke said. "He makes a habit of wearing paisley pants to golf outings. You wouldn't know he's a chairman when he walks through the building. He just doesn't fit the stereotype." Russell was born in Detroit on April 7, 1924, and joined Federal-Mogul as a mail boy in 1942. After serving in the U.S. Army during World War II, he rejoined Federal-Mogul in 1946 as an accountant. He rose through the supplier's financial staff, becoming vice president of finance in 1964 and vice president and group manager in charge of aftermarket sales operations in 1968. He joined the firm's board of directors that same year. Russell was promoted to executive vice president in 1969 and became Federal-Mogul's president in 1972. After he retired from Federal Mogul, Russell served on numerous corporate and charitable boards. In addition to his son Scott, he is survived by son R. Brandon and four grandchildren.